“We need to diversify the school system to break down cultural barriers,” says Christian Carter, candidate for mayor of DC. He notes that the DC Public schools are predominantly African American, which does not reflect the diversity of the city itself. In order to accomplish this, the District needs to protect the rights of students whose first language is not English. 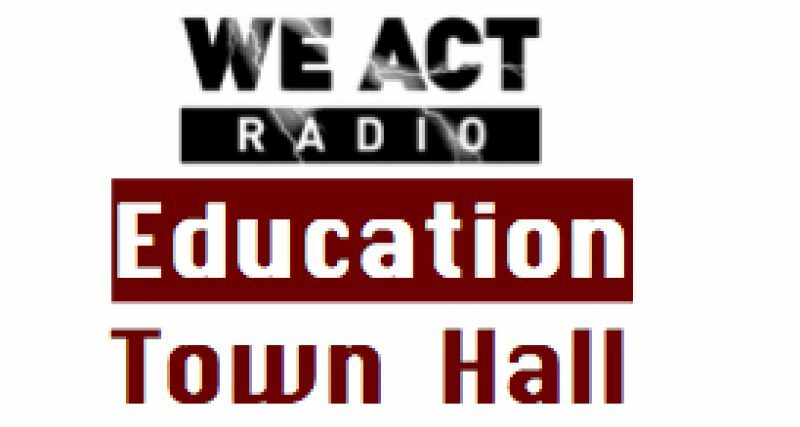 Carter joined the Education Town Hall on December 12, along with staff and youth organizers from Many Languages One Voice, a group dedicated to “building power of the immigrant community” and organizing to support youth in advocating for their needs at school. There are students from 133 countries, speaking 107 languages in DC schools, according to Education Organizer, Maria Alejandra Salas Baltuano. But only six languages are recognized and supported in the DC Public Schools. Much of the conversation centered around lack of knowledge and enforcement of the 2004 DC Language Access Act as well as student-developed solutions to access issues. For specifics, visit “Education Justice Resources, including the ELL Student Bill of Rights. Participating this week: (pictured l-r) Sapna Pandya, MLOV executive director; Zakiya Lewis, Education Town Hall intern; Virginia Spatz, feature reporter; Christian Carter; Franck Vincent, student organizer; Maria Alejandra Salas Baltuano; via remote link (not pictured) via remote link: Thomas Byrd, host of the show; Lidya Abune, student organizer.